Hey, it's Tom from Latest Deals. This is a preview of our new price comparison idea. You take a photo of a product with your phone, and it shows you the cheapest place to buy it. Imagine you're in the supermarket. You see a product you want, but is it the cheapest price? With our app you take a photo and see a price comparison in an instant. The app uses artificial intelligence to save you money. Complex software looks at your photo and figures out what it is. You can see an example in the video above. Then it searches for the cheapest price. The app is still in an early stage of research and development. If you're interested in being the first to try it, sign up here. What's the technology behind it? At present, we're trailing state-of-the-art machine learning and complex algorithms from Amazon, Google and IBM. These are called Amazon Rekognition, Google Vision and IBM Watson. 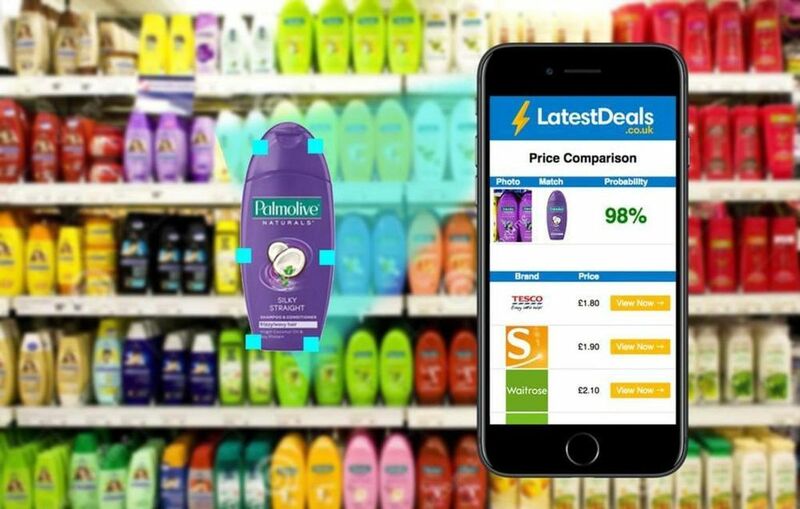 Combined with our own propietary software we're learning how to recognise products and compare them to find you the cheapest price. This is a long-term project. The goal with LatestDeals.co.uk is to help people save as much money as possible. What do you think? Would you find this helpful? Let me know your thoughts in the comments below. If you have any questions, please just ask. Maybe you could combine it with a snap of the barcode? It sounds like a similar concept to the Shazam app that can instantly identify the music you're hearing which I use a lot. I'm forever seeing stuff in the shops and then going for a coffee to do some price comparisons online. It would be fantastic if this was instant. Great idea! Hey Tom. Is this close to being live or am I well behind the times and it's out there or has been shelved? That would be great as my computer has popped its clogs. I couldn't have dragged it round the shops anyway.